With a warm, sunshine-rich climate, delicious food and wine, and prices far below many popular western European countries, it is hard to imagine why anyone wouldn’t consider Portugal as a prime candidate for their next holiday. 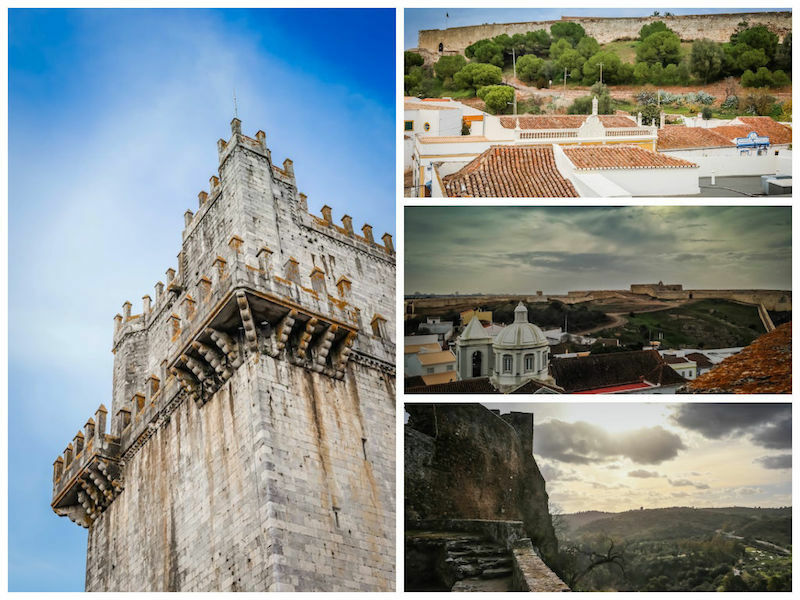 While other western European countries tend to get a lot of press for having a wealth of historic, picture-perfect castles, Portugal too is rich in ancient fortifications, palaces, and castles ripe for discovering. With a wealth of castles to choose from in Southern Portugal, the most difficult part will be choosing which to visit. Starting in Lisbon and heading south, it’s possible to go from castle to castle, with more fairytale structures than time will allow. Whether you’re traveling solo, with a friend or partner, or with kids, a holiday filled with ancient history and castles is a surefire hit. To get you started on planning your Portugal holiday, we’ve put together an overview of some of the most beautiful castles in Southern Portugal, including some of the most impressive forts and castles near the capital and the two regions that make up the south: the Alentejo and Algarve regions. 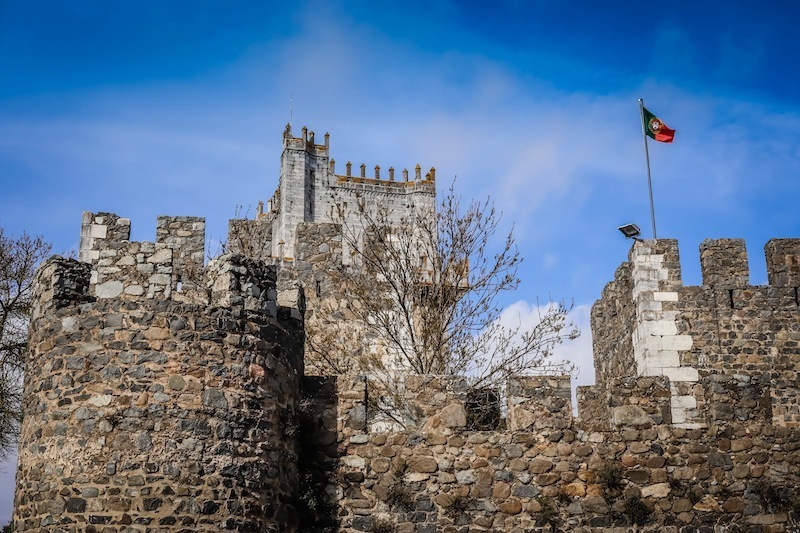 Not surprisingly, the castles and fortifications of Portugal’s capital region are some of the most well-known and get the most attention from foreign visitors. It’s with good reason: besides being convenient for visitors, they are some of the country’s most spectacular and have each played important roles in the country’s history. When you’re not visiting the castles of Lisbon or nearby Sintra, Lisbon’s old town is the perfect place to lose yourself for an afternoon. Standing watch over Portugal’s capital and its lifeblood, the Tagus River, is St. George’s Castle (Castelo de São Jorge), an authoritative-looking fortress and reminder to Lisboetas of the rich and varied history of their beloved capital. Visible from all over Lisbon, São Jorge dates to the middle ages when Moorish forces, which controlled Lisbon from 711 to 1147, built the castle walls. During the Christian re-conquests, the castle served as an important fortification for the crusaders who used it as a base from which to protect the city. In the centuries following the Moorish defeat, the castle was renovated and adapted, and today it is possible to see a mix of Moorish and Christian architectural styles. Unfortunately, the castle suffered extensive damage in 1755, when a massive earthquake and resultant tsunami wiped out much of modern-day Portugal. Fortunately, the Portuguese government has taken pains to restore the structures to the impressive state you can see in the Instagram photo below. Although not technically a castle, we’d be remiss not to mention the Belém Tower (Torre de Belém), in the Belém neighbourhood of Lisbon. This is a must-see for anyone who has ever dreamed of setting sail on the high seas, discovering new lands and having a proper, old-fashioned adventure (and who among us hasn’t?). Commissioned by King John II, but built after his death at the beginning of the 16th century to defend the mouth of the River Tagus, the tower is an example of the Manueline architectural style found throughout Portugal. 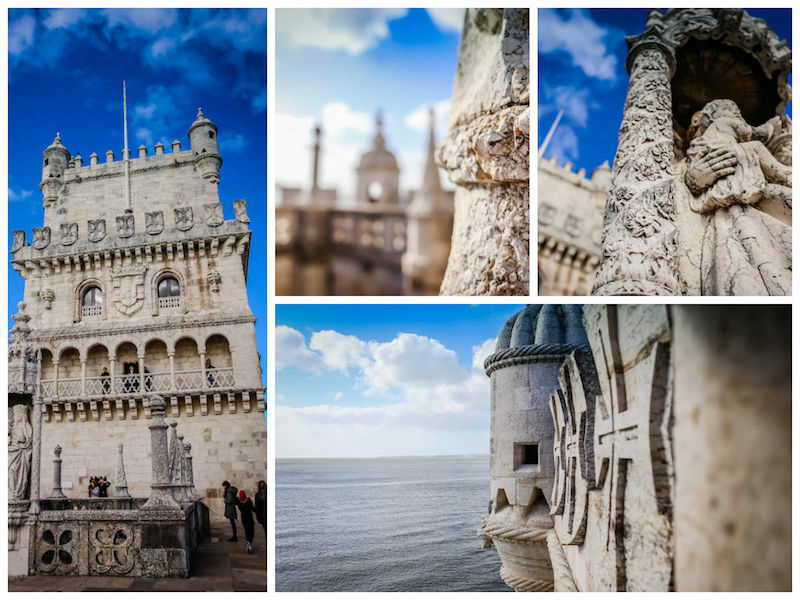 In addition to serving as an important defensive fortification throughout history, the tower serves as somewhat of a symbol for Portugal’s Age of Discovery, which included Vasco da Gama’s discovery of a sea route to India. Although the tower was built after Vasco’s return from his first voyage, his point of departure was nearby, and the tower served to see off and welcome home other seafaring explorers. Vasco’s body is interred at the nearby Hieronymites Monastery (Mosteiro dos Jerónimos), where it is possible to see his tomb. 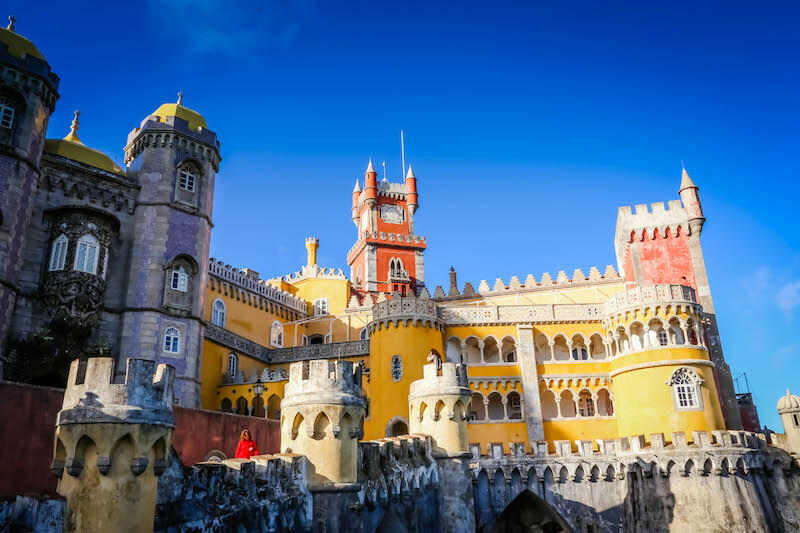 Pena National Palace and the Castle of the Moors are in the pretty town of Sintra, less than one hour by train from Lisbon, and an easy day trip from the capital. If you have the time, we’d recommend staying overnight in Sintra, so you can enjoy the town as well as the castle and palace. A UNESCO World Heritage Site, Pena Palace was born in the Romantic period, and its architecture fits with the eclectic aesthetic of the time. In 1838, Ferdinand II, husband to reigning Portuguese Queen Maria II, set about building the palace that stands today. The Castle is notable for being one of the world’s best examples of Romantic architecture and for its place in Portuguese history: Queen Amélia, the last Queen Consort of Portugal, apparently spent her final night in Portugal in the Palace, before heading into a life of exile following Portugal’s transition to a republic. You’d be forgiven for thinking Sintra National Palace looks like the perfect home for a Disney princess. Built in the 8th and 9th centuries under Moorish rule, the nearby Castle of the Moors (Castelo dos Mouros), was surrendered to the crusaders after the 1147 Christian re-conquest of Lisbon. Under Christian-Portuguese rule, the castle was renovated and re-built over the following centuries. The 1755 earthquake caused considerable damage, with restoration of the castle led by Ferdinand II in 1840, continued into the 20th century by the Portuguese government. 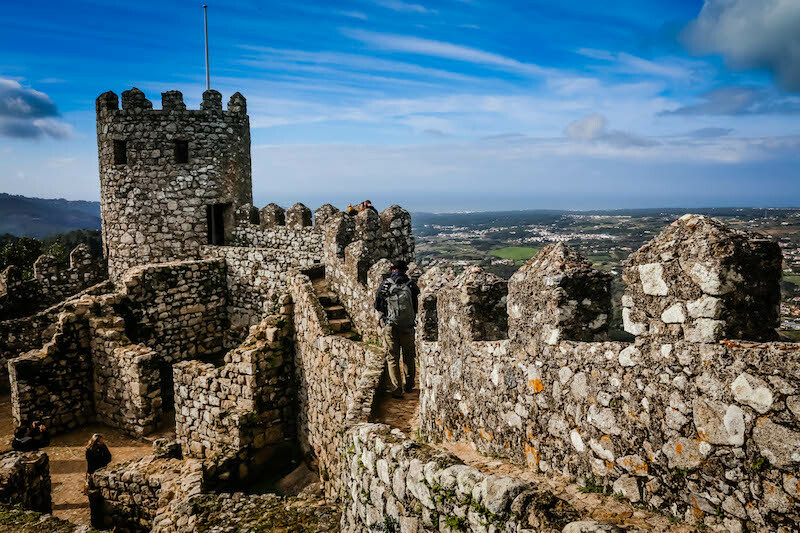 The Moorish Castle at Sintra is one of the most impressive we’ve ever seen. Portugal’s Alentejo region has a rich, natural endowment of vineyards, cork trees, and rolling green hills as far as the eye can see. The pretty Alentejan towns of Beja and Mértola are near enough that it is possible, with a car, to see both in one day. Taking in the fine castles at each and lingering in the towns is a fine way to spend a picturesque day in the region, which in the past had to protect its towns against incursions from the Spanish. 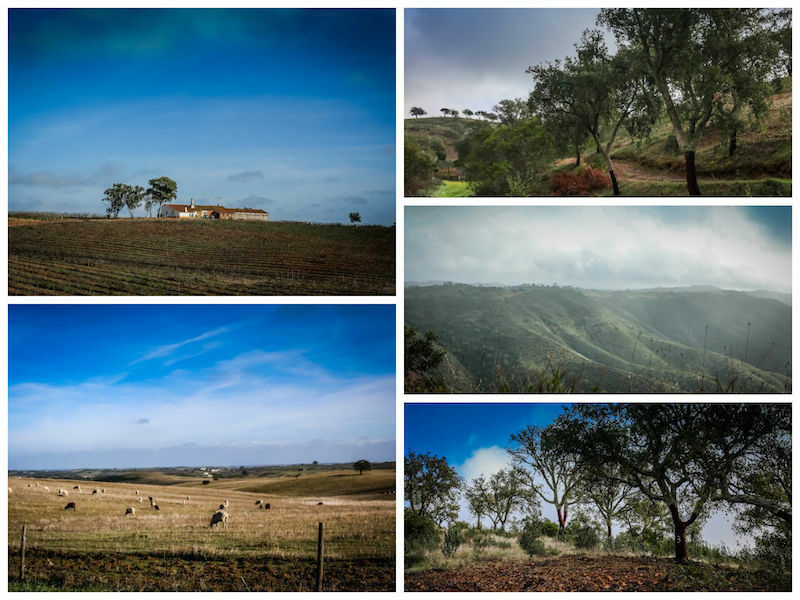 With pastoral views of cork trees and old farmhouses, driving to and from the castles at Beja and Mértola is a joy in and of itself. The castle at Beja is most notable for its 40m tall marble and granite keep: the tallest in Portugal. It is possible to walk around on top of the castle walls, which offer a view of the town itself. The castle courtyard houses a small café where you can refuel with inexpensive toasted sandwiches and coffees. The keep at Beja is the tallest in Portugal: it is easy to imagine Rapunzel being imprisoned here. 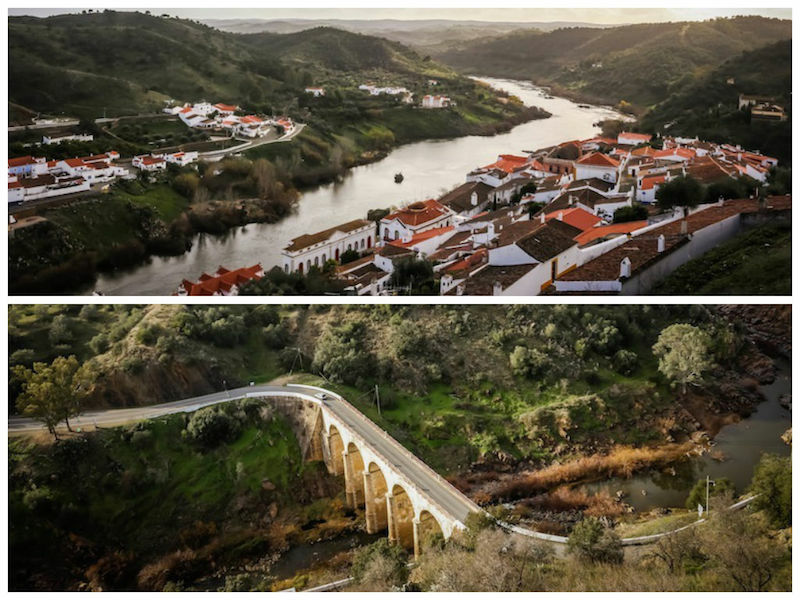 While the castle at Mértola is, upon first glance, less impressive than that at Beja, the view it affords is nothing short of spectacular: old castle walls cascading into a river valley below and a bridge build of arches are two of the highlights. The castle itself has a 30m tall keep, and is prettiest viewed from below. The views from Mertola Castle are breathtaking. The southern-most region of Portugal, the Algarve also has a number of well-preserved castles and forts, with two of the most impressive being the Castle of Silves and the Fort at Cape St. Vincent near Sagres. 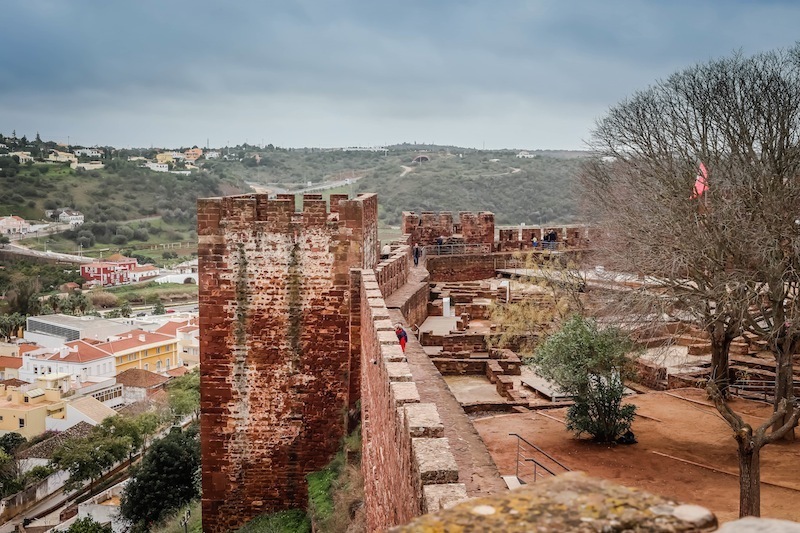 The Castle of Silves is notable for being one of the best-preserved Moorish castles in Portugal. Surrounded by an impressive, saw-toothed wall made of deep red sandstone, the castle has seen more than its share of action over the years. In the 12th century, it traded hands between the Moors, Spanish, and Portuguese several times. The castle in its current form was mostly completed during the 12th and 13th centuries, although—like many structures in Portugal—it suffered substantial damage from the 1755 earthquake. Silves Castle looks exactly like a castle I would imagine. 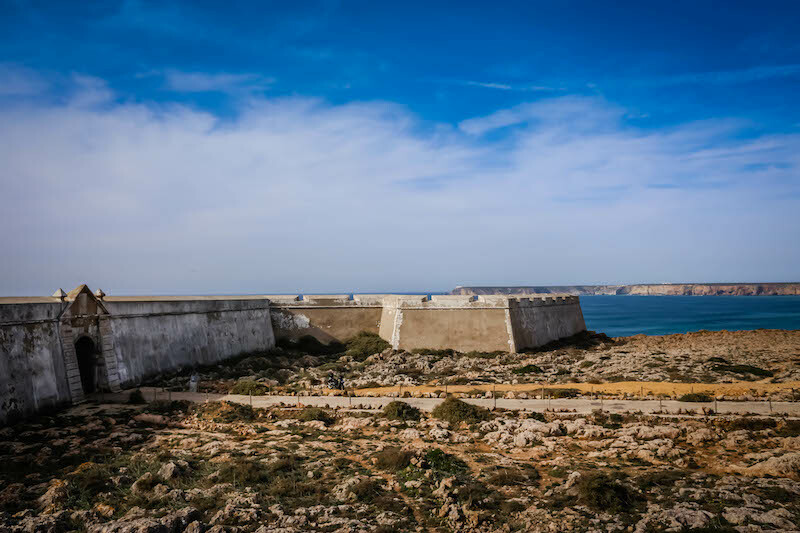 The fort at Cape St. Vincent is surrounded by a saw-toothed wall and flanked on both sides by golden cliffs that rise from the bold, blue Atlantic Ocean, 75 meters below. It’s a wind-swept, seemingly desolate place that in ancient times marked the end of the known world. Beyond the exterior walls of the fort lies a lonely piece of land that leads nowhere, with hardy, low-lying shrubs barely hanging on against the constant barrage of wind. Despite—or perhaps because of—its desolation, it is a supremely beautiful place and holds an important place in Portugal’s journey to becoming a seafaring power from the 15th century onward. Prince Henry the Navigator supposedly built the fort in the 15th century as his base, calling upon the brightest minds of his day to help create an age of discovery and expand the borders of the known world. The fort near Sagres is impressive on its own, but the setting makes the experience spectacular. Car rental is reasonably priced in Portugal, especially for longer stays. However, be forewarned: Portugal is a nation of notoriously aggressive tailgaters, so you’ll have to prepare yourself. 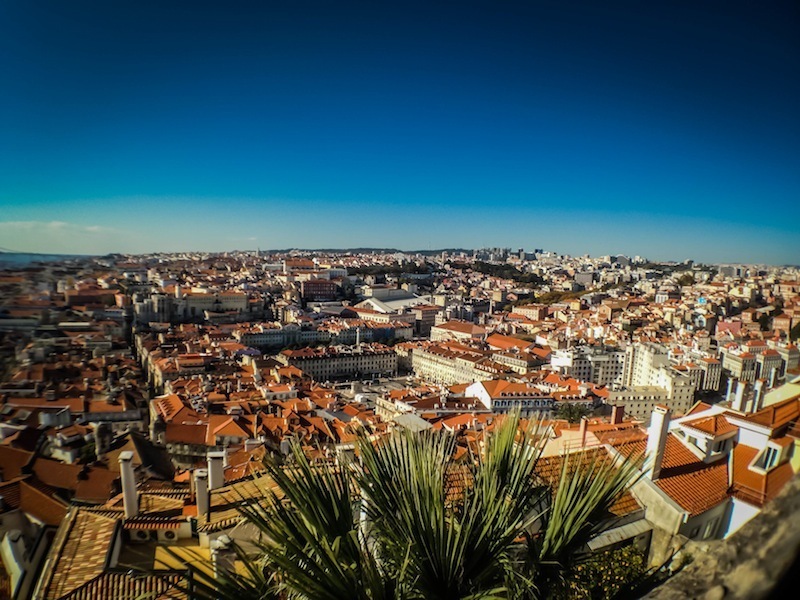 It’s best to explore Lisbon and Sintra on foot, and by using the reliable and inexpensive public transportation (tram, bus, metro in Lisbon; train to Sintra). Driving in and around the capital can be an expensive and harried experience. Once you’re ready to head south, you can pick up your rental car. If you plan to visit Sintra, consider buying a hop-on-hop-off bus ticket from the public transit company (just jump on and pay the driver). Starting at only €5 per person, it is much less expensive than the similar services offered by private companies. Similarly, purchase a combination ticket for all the sights you wish to visit in Sintra, as it will save you money. Portuguese people, in general, speak excellent English. If you’re ever unsure of something, just find a local to ask. Healthcare is good in Portugal, with both public and private hospitals. However, they can be expensive, making a good travel insurance policy a must in case of emergencies. Been to any of these spectacular castles? Share your story below! Come to my Hometown: Toulouse!